We pack our potatoes in various packages such as; poly bags 3, 5, 10, 15, 20lbs; paper bags 10, 20, 50lbs; bulk tote bags for repack; and 50lbs count cartons ranging from 50 to 120 count. Our packing facility is designed to operate very efficiently and we are very versatile in our approach to meet customers’ requirements. 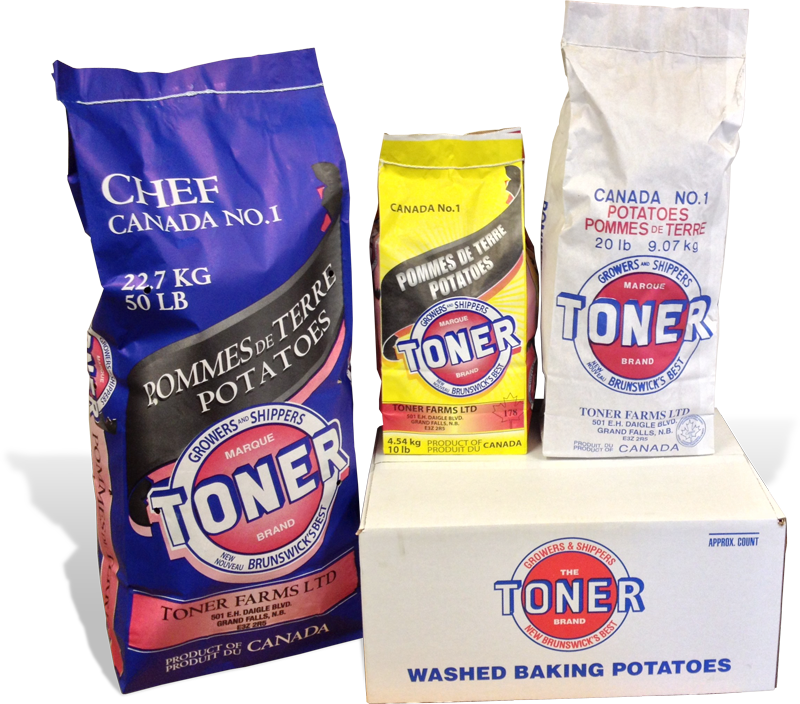 Toner Farms Ltd. had its own label: The Toner Brand. We pack our potatoes in our own label as well as different labels specified by our customers.